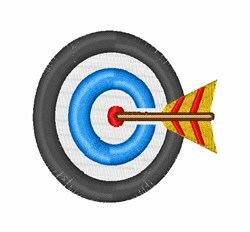 Aim, shoot and bulls’ eye! Make a graphic statement with this design on framed embroidery, clothing, throw pillows and more! Easy Embroidery is happy to present Dart Board machine embroidery design which has 4279 stitches and is [48.87 mm x 49.22 mm] large. If you would like to view more embroidery patterns please search on our embroidery designs page.